Dubai, UAE, March 21, 2017: With ambitions to welcome 440,000 visitors a year by 2024, the government of Kuwait is pressing ahead with multiple plans that will see billions of dollars invested in projects and a further $1 billion budget earmarked to promote the Gulf state over the same period. Plans are in place to establish a Supreme Commission for Tourism to initiate its tourism strategy as the country prepares to showcase at Arabian Travel Market (ATM) 2017, which takes place at Dubai World Trade Centre 24-27 April. A number of mega-projects will share the multi-billion dollar development budget, including: Madinat Al Hareer and Silk City, a proposed mega-development in the country’s north; the expansion of Kuwait International Airport, reaching 25 million passenger per year capacity by 2025; and cultural attractions such as Sheikh Saad Al-Abdullah Islamic Centre. According to figures from the World Travel and Tourism Council, travel and tourism investment in Kuwait is set to rise 1.5% per annum over the next ten years to KWD135.6 million in 2027. The latest Colliers International Kuwait Hospitality Market Snapshot, reports 70% of visitors arrived in Kuwait as corporate travelers in 2016, with the country’s leisure industry comprising only 6% of total arrivals - hotel performance declined 6% overall for the year as a result. Business spending also suffered losses, falling 2.4% over the course of the year. Key hotel performance indicators showed slight declines in 2016 with ADR down 2.3%, RevPAR down 4.8% and occupancy down 2.6%. Performance is forecast for strong recovery in 2017 with continued growth to 2026, reaching values of KWD501.3 million. Leisure travel spending is expected rise by 4.5% per annum to KWD1,939.1 million in 2026, following an annual growth rate of 8.7% in 2016. This year, ATM will host a number of exhibitors from Kuwait, including the Ministry of Information – Tourism Sector, Holidays Arabia, Kuwait Hotel Owners Association, Kuwait Tourism and Services. 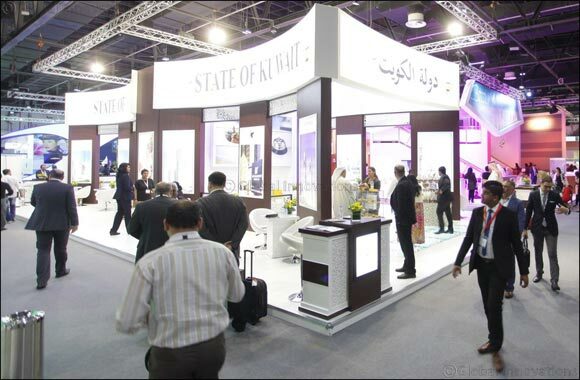 ATM - considered by many industry professionals as a barometer for the Middle East and North Africa tourism sector – witnessed a year-on-year visitor attendance increase of 9% to over 28,500 in 2016, with 2,785 exhibiting companies, signing business deals worth more than US$ 2.5 billion over four days. ATM 2017 will build on its success with the announcement of an additional hall as Reed Travel Exhibitions looks to add to its record-breaking achievements of 2016.